This topic contains 52 replies, has 25 voices, and was last updated by Anonymous 2 years ago. So each of us received a random note attached to our copies of the book. Different stories, different handwriting, etc. My immediate assumption is that there’s no real meaning behind these notes other than its a cool little piece of the OOA for each of us to take home. 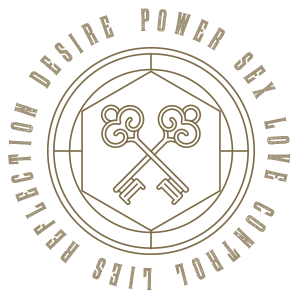 But as we know, nothing is random so…let’s over analyze and see if there’s anything to it! Most of these notes seem to not be anything any of us have seen before. Maybe they’re just take aways of stories of people lost to the OOA? I’ve heard that some people got the same note. It seems there’s a set number of these, and several copies of each, dispersed throughout. 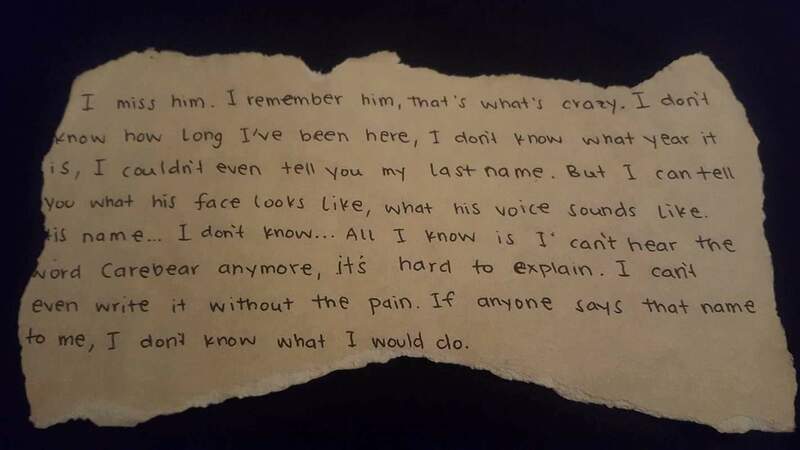 I definitely remember seeing some of these notes in the compound. @mike I defintely remember seeing your 2nd note somewhere in the warehouse at one point. This reply was modified 2 years ago by Brian E.
I got the same note as Andrew. They were written incredibly recently? What if the end was all a setup to get us to think it was the end when in reality people continued living at the compound? @immortalconqueror Wasn’t it implied at the book release party that the compound was burned down? I wasn’t there so I can’t say for sure, but if that’s the case I can’t imagine anyone living there now. @izryn My specific thoughts were in between the two times. As in whatever happened in the between times were what lead to it being burned down. That’s completing my off the rocker conspiracy theory. Let’s call Alex Jones in for the debate! 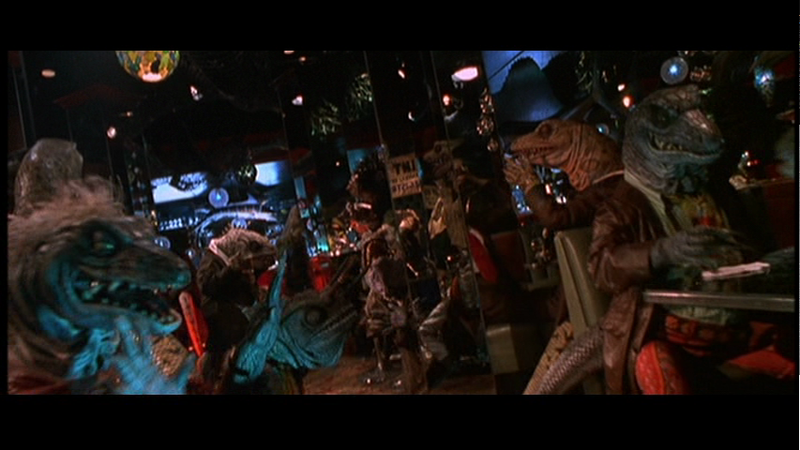 @immortalconqueror No no no, then we end up with reptilians in the system. @shinobi as long as no one feeds them alcohol…. @immortalconqueror I have a Gonzo tattoo. Did we just become best friends? @shinobi your profile pic! ? my all-time favorite movie! @pandace88 Was that my stomach or yours, Ambrocious? @shinobi ahh you’re making me so happy right now haha. I think I’ll watch this again very soon. @pandace88 I believe it should at least be a monthly viewing along with Casablanca, Muppet Treasure Island and Captain Ron. @immortalconqueror I seem to remember someone mentioning that at the book signing that some of the people there said that the only reason they were still there was because you guys were there. The only reason they existed there was because we believed and kept coming back. 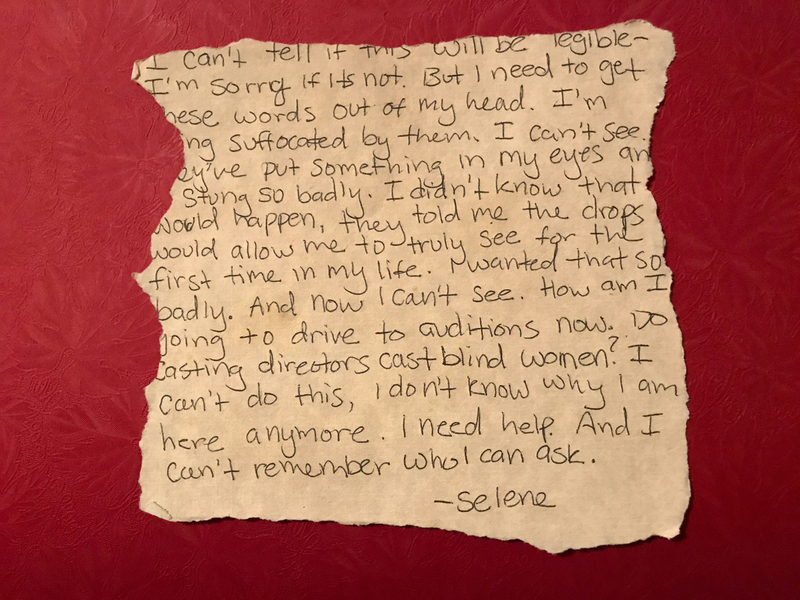 I’m thinking all of these notes are from when all of this started with Tension though, one reason is because of @bcbishop ‘s note where Selene says that she can’t drive to auditions, which seems to place it when they were first recruiting their “actors” for the show, especially since we’re noticing the same actors in Lust as in Tension. Also, all these notes seem to be written by women (unless I missed a note or misread a name). I’m guessing all of these notes were written by the women in white that were poisoned at The End? @chloe And with those comments, the well is dug deeper. So, you mean that all of us giving over to something created, believing in it, maybe brought it to life? Kind of like a freddy-krueger-esque thing that if we believed, they became real? I think I’m confusing myself. This is the one I got. It’s actually pretty prominent on the pages with the notes in the book. Tangentially related, did anyone end up in the room that the book lists as ‘The Void’? I mostly lurked on the Tension forums, but never saw it mentioned in anyone’s recap. @kevin: Off the top of my head I seem to recall “The Void” is where The Oracle was kept, adjacent to the room with the tools. If so, I know various people who entered. @kevin I don’t have my book yet. (Tracking says it should be here today) but if the void is where the oracle was kept as @electrichippo has stated. I got to experience that scene. 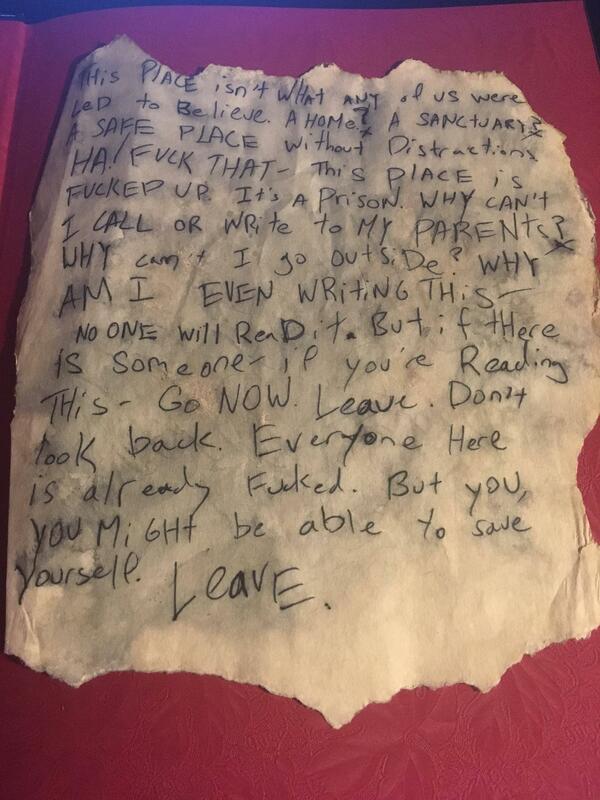 This reply was modified 2 years ago by Lukas L.
“I am inside the wall nearest to which you found this note. 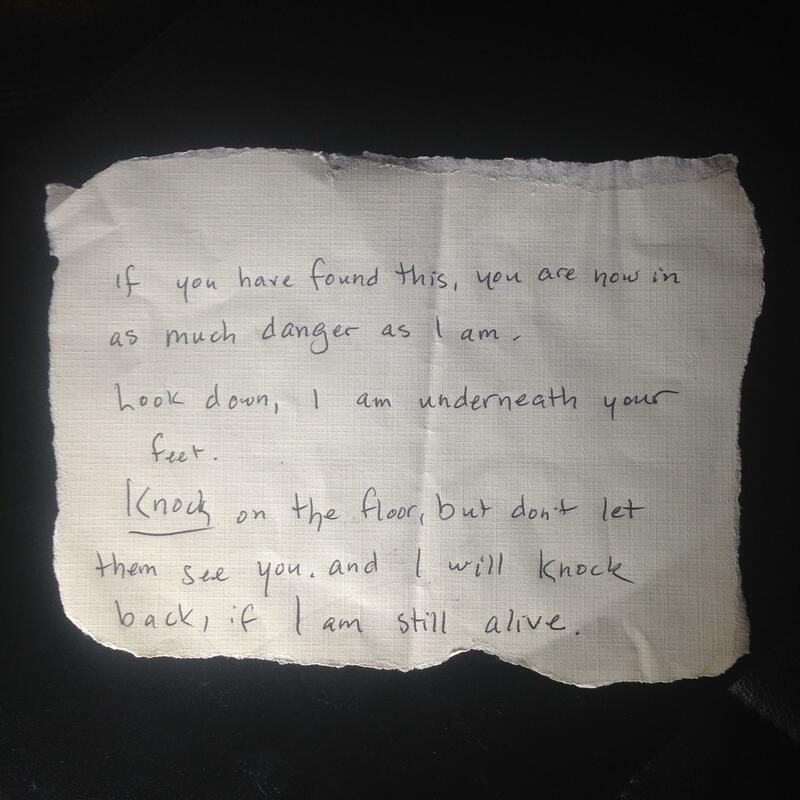 I’ve put you in danger by leaving this note for you to find and I’m truly sorry for that. The person I used to be would never have done so…she would have sacrificed herself quietly. But confinement (and the Helmet) can make people cruel. -Walk away. Put this note back where you found it and let the next fool pay for your cowardice. -Go to the wall and knock. If I am still alive I will knock back. If I do, go to the police. But know this…If you’ve read this far they’re already watching you. This reply was modified 2 years ago by Maxwell R.
@moustachemax I knocked, I knocked over and over, I tried to wait till no one was watching then knock, and tried a few times along the wall. I found that message in a book near the back corner of the waiting room. Nothing ever happened. @moustachemax I picked up that note the first time I went through! I was trying to read it so fast, but someone was walking up to me and then I was taken away by one of the handlers. @darthzannah – I wonder what would have happened if you’d knocked?? This one was NOT attached to my book but I thought I’d share anyway. 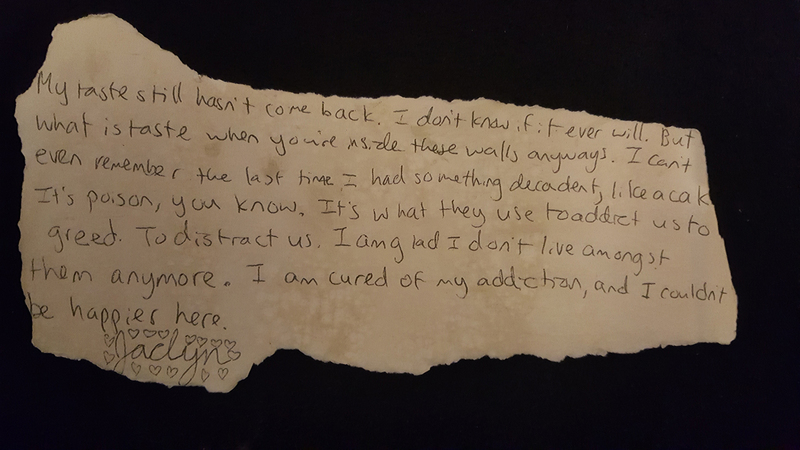 I accidentally ended up with this note in my pocked after my first time through. I kind of felt awful about it because I really hate it when people steal stuff from immersive theater sets. 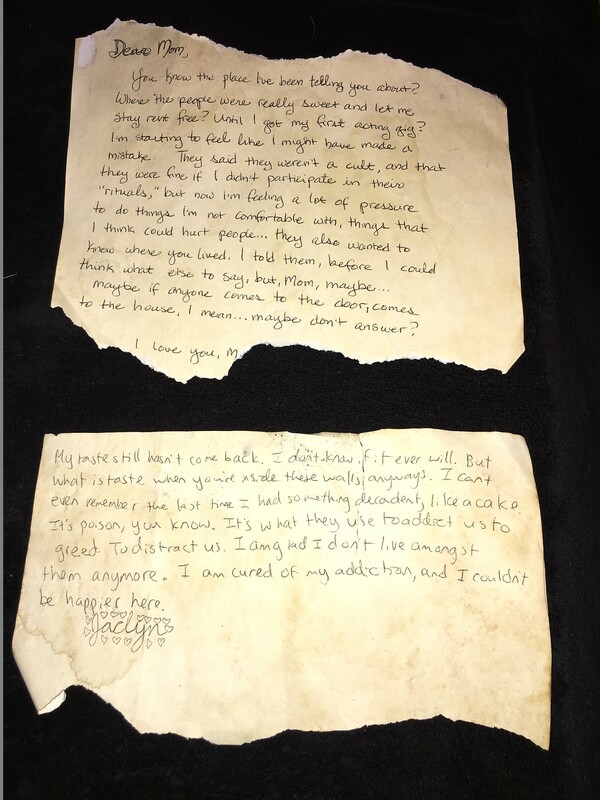 I found this note, went up to one of the handlers and asked about it, and she said something like “keep it, it will help you.” I put it in my pants pocket, which of course I lost in the very next room. I didn’t find it again until I was going to bed much later. This reply was modified 2 years ago by Megan. @darthzannah I don’t know…I kind of think I might have done just that. 😉 Or at least that is something I would have planned to do on my second time through (go straight for that note, find note, knock on wall) except, of course, the second time through was totally different. A couple of stagehands tried to herd me off a stage last week when a presentation on holographic technology was over and I was like um, no, I’m standing two inches away from holographic technology I will stay here until my questions are answered thanks. I doubt that would have flown with the Overseer, though. @coryphella I had thought about it for my second time around! I wasn’t even lead into that room for my second time, completely skipped it. Ascension was my first immersive theater where we were given more freedom (I had done Delusion previously), so I had no idea what the rules were. hahaha Yeah the Overseer does not seem like she would have appreciated that. Maybe Noah would? Someone who pushes to have questions answered… as long as they aren’t against him I suppose. I got the same note @meghanmayhem posted. The thing with “carebear”. @darthzannah – I have major regrets about my first time through Ascension – it wasn’t what I expected at all and for various reasons that I won’t go into here I essentially “gave up.” I don’t live in LA, and haven’t done much of that scene’s immersive theater, but do a LOT of the big ones elsewhere which are all fairly passive. I was scared to push too hard at Ascension and went along with it as much as possible. I wish I could go back and do the first time again and push harder against it than I thought I could – though, to be honest, I am NOT a performer, and it’s really difficult for me to do any interactive theater at all, so everything with Tension was a major step forward for me. If I get the chance to fly out for anything this time around I hope I don’t make that make that mistake again. @coryphella I knocked. A handler told me not to let them catch me knocking. I knocked on every other wall in that room too. and thought I’d do it everywhere else. But soon became busy with other things and forgot after the processing room. Here are the notes that @winstonsmith and I received. Upon inspection, these are indeed photocopies. Black light doesn’t reveal any secrets. Funny story: @winstonsmith inspected a briefcase in the Welcome Room during the book release party and found that ‘carebear’ note inside. @coryphella I know exactly what you mean. When I read about people going through pushing the boundaries I always wonder how. I get quiet and try to take everything in, so I rarely fight back. I’m doing more immersive theater so I’m kind of coming out of my shell about it. A very wonderful man told me though that everyone experiences things things different and there is nothing wrong with it. Hopefully you’ll be able to be out here soon and experience more! I get the feeling that Noah is going to push us in ways that may want us to push back. @darthzannah we will see. 😉 Noah told me I’m a loser with a chip on my shoulder. He’s not wrong. 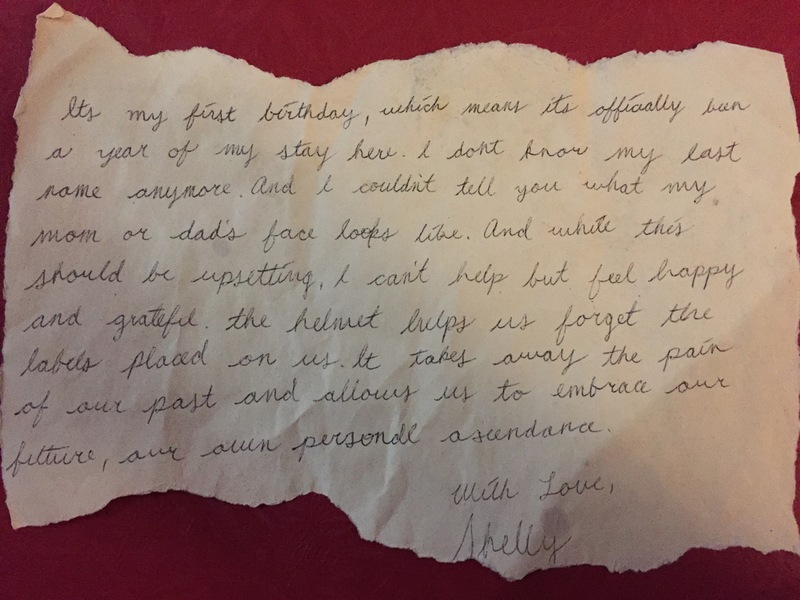 At first, I thought it just logical that I received a note that referenced Addison, since I followed and emotionally invested in her story and family story more than anything else in Tension. When I first saw Addison she was not “sure of herself” and seemed to be filled with anxiety or fear. 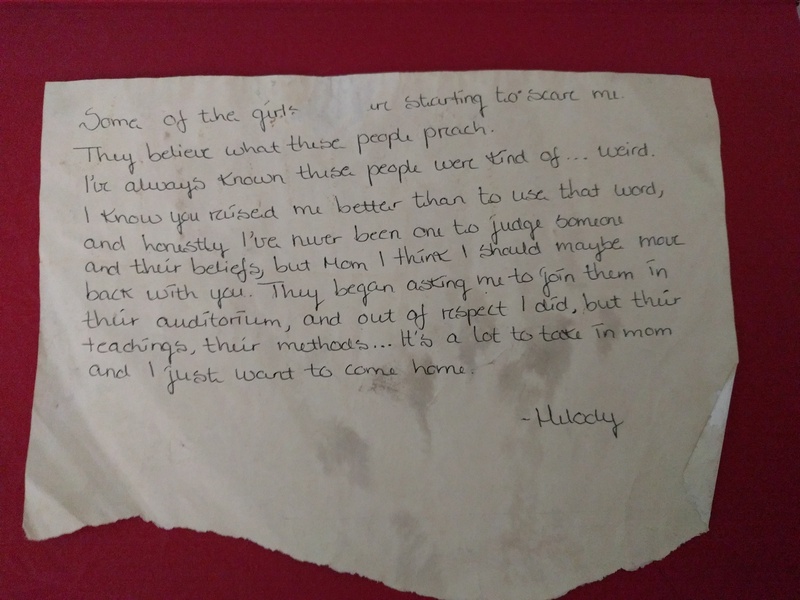 I saw her confidence manifest itself later… but not in the manner this note describes. 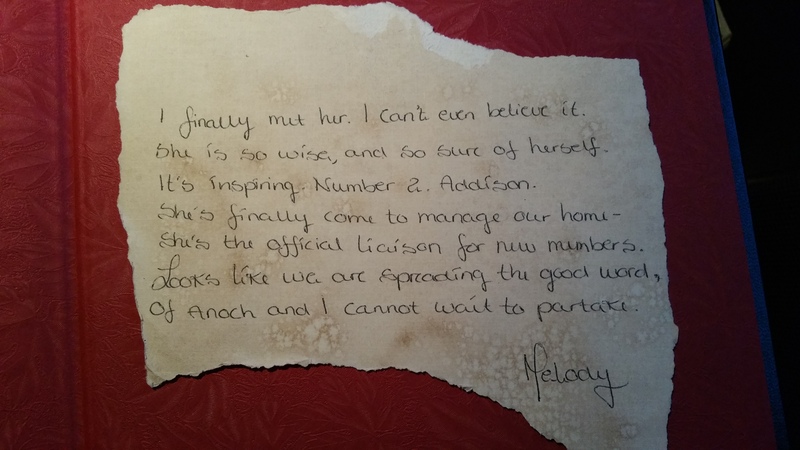 The odd thing is that this note references an Addison I never really met… it references the Addison that existed before I (we) became aware of her and her growing role in all of this. These notes do sound like they were written in the beginning when all the girls were getting recruited in along with addison. A time before we entered the world. To me they are a glimpse that all the attendants had a story. They all had feelings and lives, just like Addison. But Addison just happened to be the story we heard. All of them could have been our main character. I’m really glad I’m participating from the beginning this time. I came into Tension in November right at the very end and probably would have pushed more, and interacted more, had I been invested with the bigger story. This time around? No chance in hell I’m going to be a passive viewer. I just got my book in the mail. Skimmed through it. Looks amazing. Here is my note. I don’t believe it has been posted yet. can’t wait to continue reading. This reply was modified 2 years ago by Melissa. I didn’t participate in Tension but I bought the book. 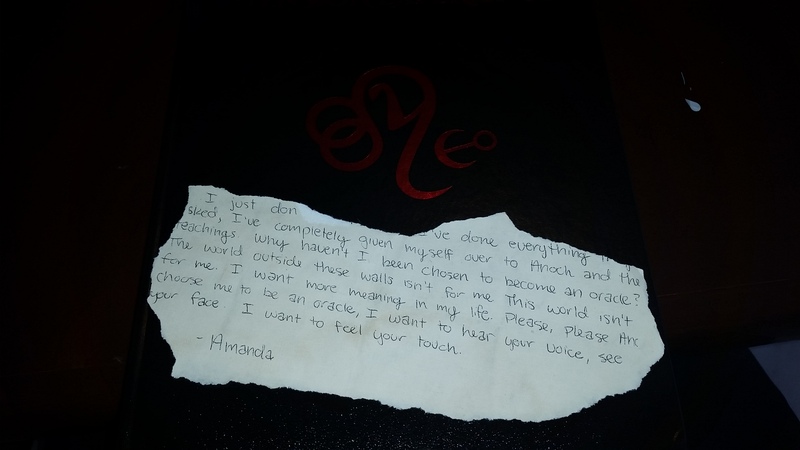 Here’s the note I received.